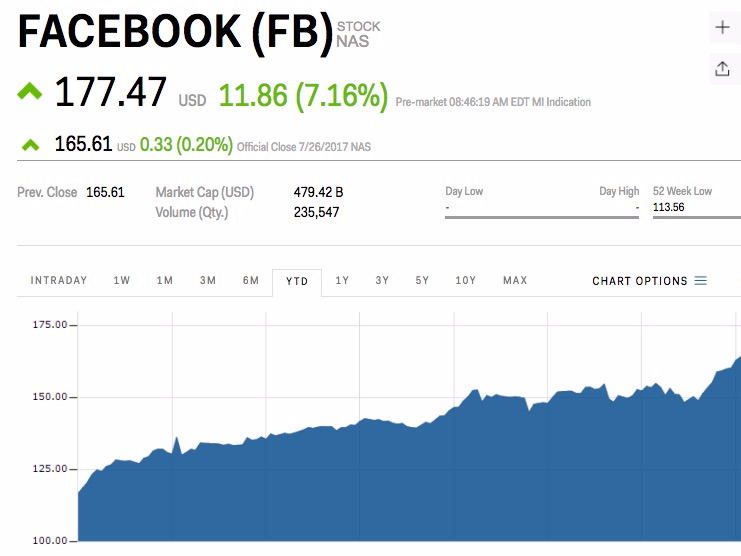 Facebook shares are rising after the social media giant crushed its second quarter earnings, trading up more than 7% ahead of the opening bell. Facebook brought in $9.32 billion in revenue in the second quarter, mostly from mobile ads. It reported earnings per share of $US1.32 compared to the $US1.13 Wall Street was expecting. While other social companies user bases stall, Facebook’s rose to more than 2 billion monthly active users in the second quarter. The company also reported 1.32 billion daily active users. 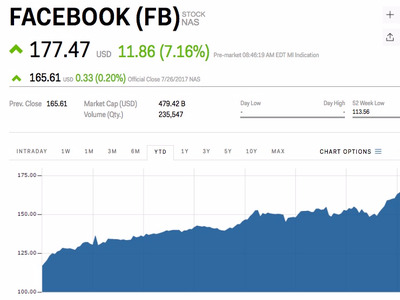 Revenue was high this quarter, but CFO Dave Wehner tempered expectations for future growth, saying that Facebook is pushing up against the ad load limit in its news feed. The company is looking toward Messenger and WhatsApp for future revenue growth. Instagram, another of Facebook’s platforms, is estimated to bring in $US3.92 billion in global revenue in 2017, a 106% jump over the year before. The company is up 52.26% this year after the post-earnings bump.